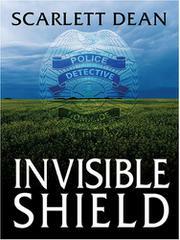 A murdered homicide detective’s spirit helps her sister solve the mystery of her own demise. When Detective Lindsay Frost is found dead in her bathtub, the circumstances indicate suicide, but her partner Gerard Alvarez and sister Kate Frost, another police officer, are sure it’s murder. Lindsay is amazed to realize she is watching the investigation of her death from a way station on a road to an uncertain destination. Like most police officers, Lindsay has made enemies among the dangerous community of evildoers. She crossed a tough criminal lawyer, shot the troubled girl who murdered her partner and got blamed by a local gun dealer for letting his son’s killer escape justice. Lindsay finds that certain other spirits are willing to help in her hunt for her killer, but her best bet is her sister, the only living person who can see and converse with her. The hunt is arduous. Lindsay must fight spirits of the dead while her sister battles the police department to take on the living suspects. The two bring the case to completion with help from Alvarez, who develops a romantic interest in Kate. Lindsay approves and intimates she may hang around to help Kate out on future cases. A provocative series kickoff that may inaugurate a new subgenre, the paranormal police procedural.